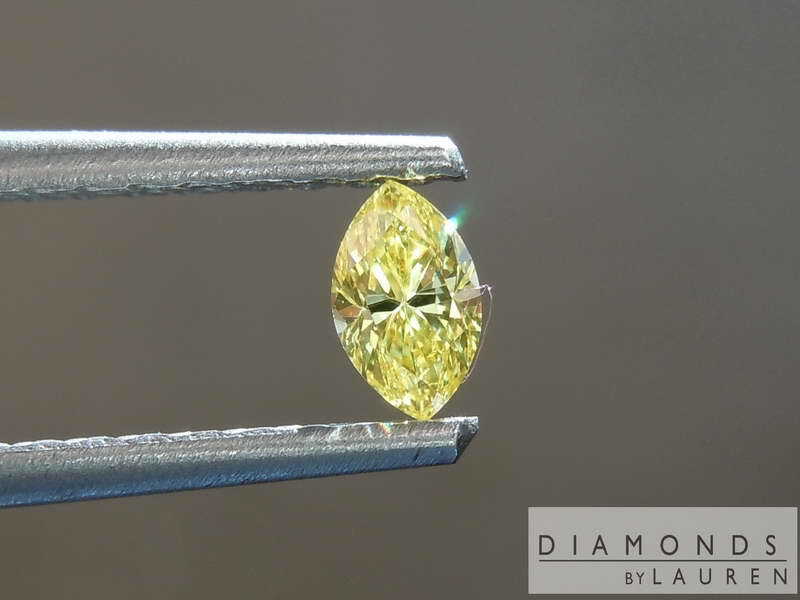 Here is a gorgeous canary Vivid Yellow Marquise Diamond. It's so bright! Lovely cut, plus it's a VS2 - super clean. 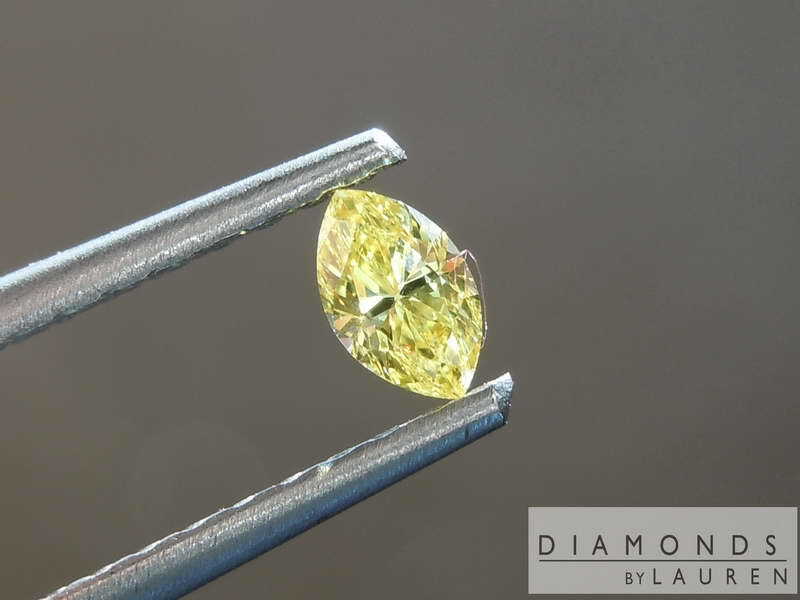 We purchase a great parcel which contained this diamond - then sent it to GIA so you can buy it with confidence. We'll be glad to set her for you!